Atletico Madrid coach Diego Simeone has warned not to take Europa League opponents Marseille lightly in Wednesday's final. 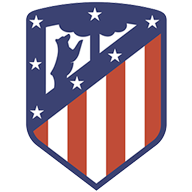 Atletico are playing in their third European final in five years, having lost the Champions League finals of 2014 and 2016, after winning the Europa League under his guidance in 2012. 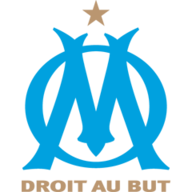 Marseille, contrastingly, have not been in the last two of a European tournament for more than a decade, but with their impressive run to Lyon Simeone is loathe to pay too much attention to history. He said: "Experience is a little thing that can help but it's not going to have too much influence. "We'll be excited, up for it, but also tense. We need to take the game where we want it and do damage where we can." Marseille have brought in the likes of Dimitri Payet and Florian Thauvin, players who have given them an attacking edge and aided them on their course to the final, and have both left Simeone impressed by Atletico's opponents at the Groupama Stadium. "They've had a great season, at home and on the continent," he added. "We're two similar sides. They've maybe not been together as long as we have but they're just as enthusiastic and work hard. It'll be a great final." Marseille go into the final as underdogs, partly due to that lack of experience in European competitions. But their performance both domestically and on the continent, having missed out on second place in Ligue 1 by only three points, and reaching the final two of the Europa League, has marked a positive season for Rudi Garcia and his side. because this season has shown that we are a real team. We've proven that we could overcome some steep challenges. "We have the chance to play at home - in our country - with a national fervour. "Today, of course, Atletico are favourites. They want to win the Champions League and the Europa League, but we will play with our heart." Filipe Luis, who had been expected to miss the final, has been named in Atletico's squad but is unlikely to start with Lucas Hernandez proving an able understudy in his absence. Payet should be fit to start for Marseille, having missed their weekend game with Guingamp with a muscle complaint. Right-back Bouna Sarr has an issue with his shoulder but could be fit, with Hiroki Sakai likely to take his place if not. This will be the first meeting between Marseille and Atlético Madrid in European competition since 2008/09, when the Spaniards went unbeaten against them in the Champions League group stage (W1 D1). Marseille will compete in their third UEFA Cup/Europa League final in this game, while they're looking for their first victory following defeats to Parma in 1998/99 and Valencia in 2003/04. Les Olympiens are aiming to be the first French team to win a major European competition since 1995/96, when PSG beat SK Rapid Wien in the Cup Winner's Cup. Indeed, this game will see a French and Spanish team face each other in a major European final for the first time since that 2-0 defeat for Marseille against Valencia in 2003/04. This will be Diego Simeone's fourth major European final since taking charge at Atlético in 2011/12 - the Argentine has lost both of his Champions League finals, however did win his only previous Europa League final in 2011/12. Of the six previous occasions that a Spanish team has reached the Europa League final, only one of them has not gone on to win - however, that came in 2011/12 when Athletic Club were beaten by fellow Spanish side Atlético (0-3). A victory for Los Colchoneros in this game would see them equal Sevilla as the team to have won the Europa League on the most occasions (three). Since the start of the 2013/14 campaign, Spanish clubs have won seven of the possible eight Champions League and Europa League trophies combined, with Manchester United's win in this competition last season being the only exception. Marseille have won just four of their 15 games against Spanish teams in European competition (D3 L8) - half of those victories have come in the last two games, however, beating Athletic Club in both legs of the Last 16 this season. Pick your dream team for the FA Cup final to be the latest £50k jackpot winner.